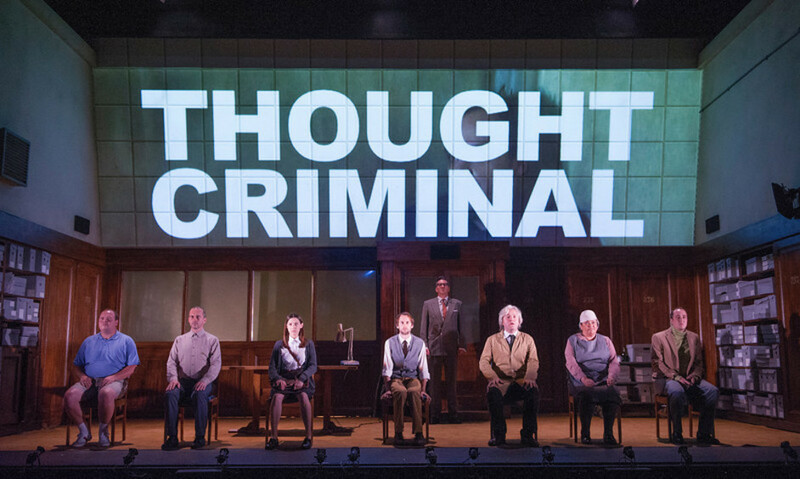 We have special offers available on tickets for 1984. Olivier Award-winning director Robert Icke and Duncan Macmillan revive their production of George Orwell's seminal novel 1984 this year. After premiering at the Nottingham Playhouse in 2013 and touring internationally, 1984 was staged at the Playhouse Theatre last year and now returns for a limited run. Though "not an easy watch" (Guardian), Headlong's version of George Orwell's novel on surveillance and censorship uses a book club from the distant future discussing Winston Smith's diary to makes the story more relevant today than ever. This smash hit adaptation returns to the Playhouse Theatre in London's West End for a three-month run beginning on 12th June 2015. What are the best dining options near 1984 London? 1984 gyms, sporting activities, health & beauty and fitness. The best pubs near London 1984. 1984 clubs, bars, cabaret nights, casinos and interesting nightlife. Where to have your meeting, conference, exhibition, private dining or training course near 1984. From cheap budget places to stay to luxury 5 star suites see our discounts for Playhouse Theatre hotels, including Corinthia Hotel London from 97% off.